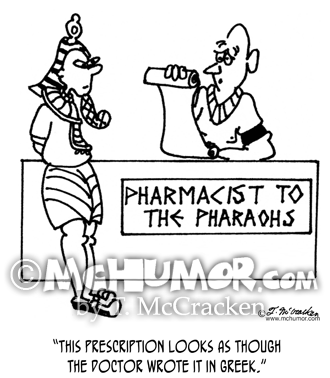 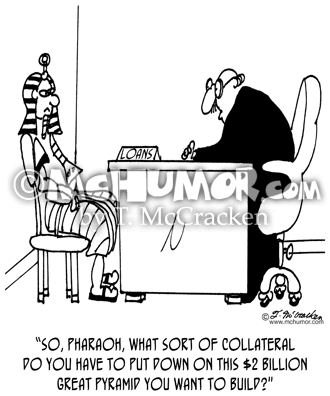 Pharaoh Cartoon 6119: A loan officer says to a pharaoh, "So, Pharaoh, what sort of collateral do you have to put down on this $2 billion Great Pyramid you want to build?" 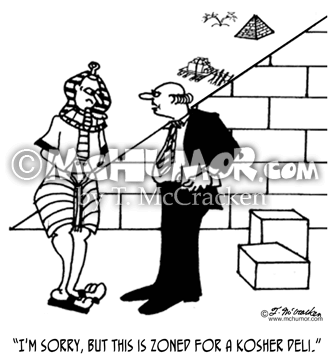 Inspection Cartoon 4636: An inspector saying to an Egyptian building a pyramid, "I'm sorry, but this is zoned for a kosher deli." 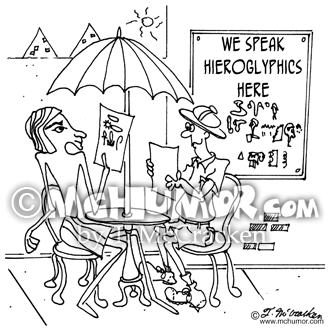 Archaeology Cartoon 6761: An anthropologist and an Egyptian character eating in a restaurant that advertises, "We speak hieroglyphics here." 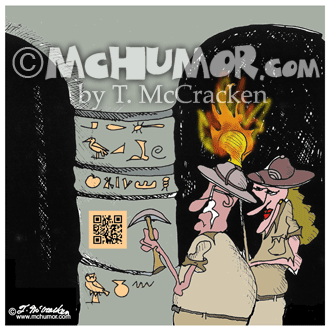 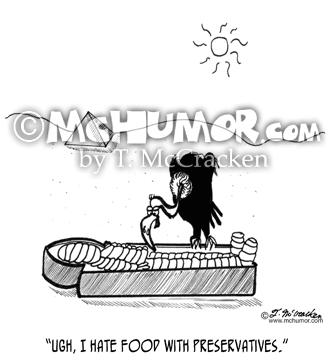 Barcode Cartoon 8698: Archaeologists find a barcode in between hieroglyphics. 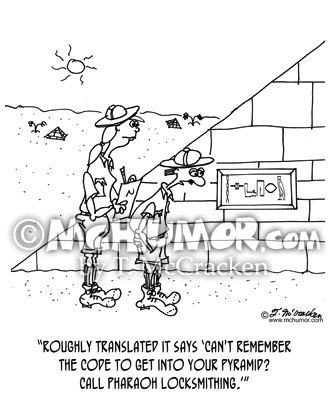 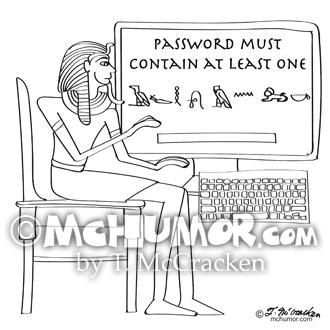 Locksmith Cartoon 7902: Archaeologist looking at tablet on a pyramid says, "Roughly translated it says 'Can't remember the code to get into your pyramid? 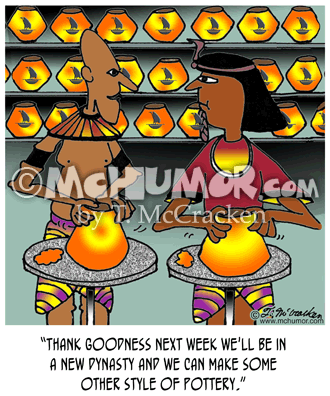 Call Pharaoh Locksmithing." 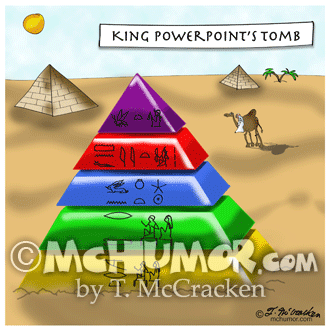 Pyramid Cartoon 9383: “King PowerPoint’s Pyramid.” A multi-colored pyramid with hieroglyphics is in the Egyptian desert.